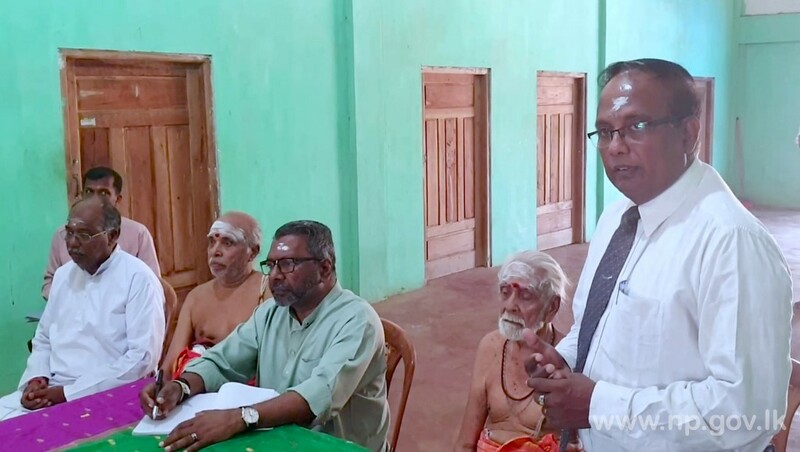 Governor of Northern Province Dr. Suren Raghavan visited Keerimalai Naguleswaram Temple on 11th April 2019. 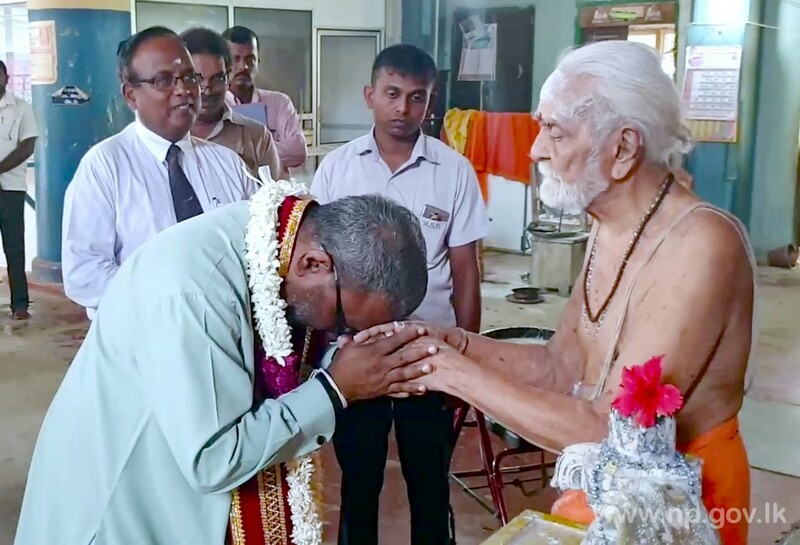 The administration of Naguleswaram Temple had requested the Governor to declare the Keerimalai Naguleswaram as the Sacred Bhoomi and the temple Chief Priest had also asked what kind of issues related to the temples can be solved by the government. In order to follow up the request, the Governor visited the temple and had a discussion with the administration and relevant government officials. 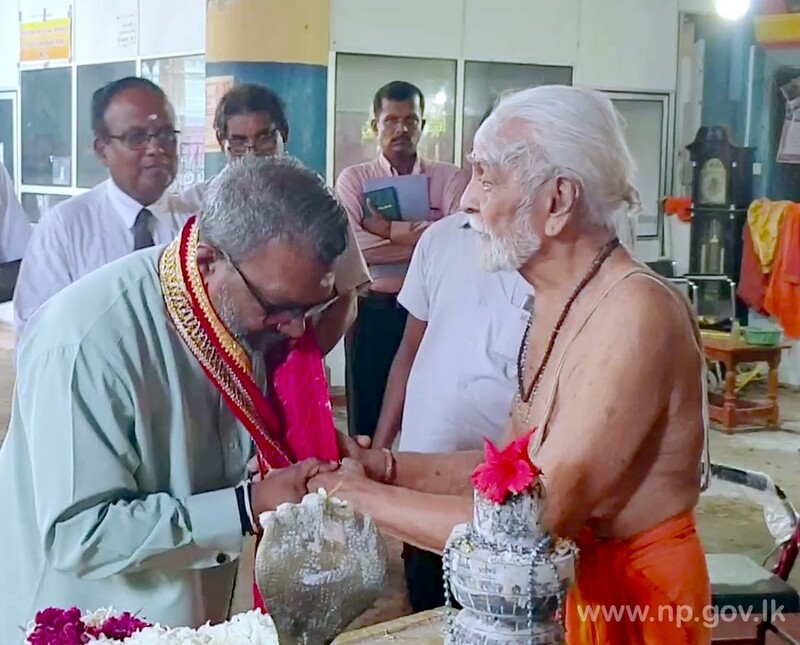 Governor said that the sacred Keerimalai is one of the most famous Hindu temples in Sri Lanka’s history. This was his first meeting with the temple administration. After hearing the problems, he asked them to document it. Rehabilitation, drinking water and environmental pollution were the key factors in the issues mentioned. 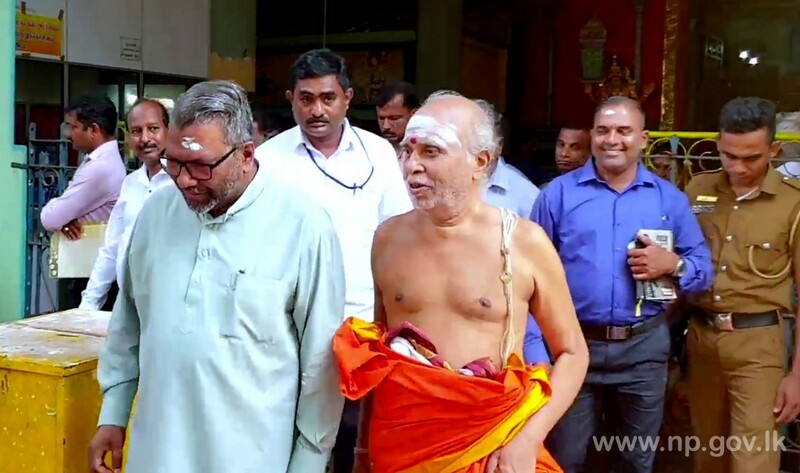 He told them he will meet them again after meeting with public, temple administration and security forces in this regard and then we could progress gradually.